This access security warning is a device that will trigger a siren if the gate stays open for more than a predetermined amount of time. These wireless driveway alarms will ensure that you are alerted if your gate is left open. These alarm systems will stop children and pets getting out. These alarms are also beneficial in letting you know if your motor has been stolen. If this happens, the alarm will warn you that your gate is open so that you can react immediately and ensure that your property is not vulnerable. 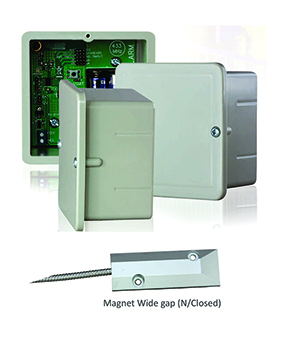 There have been reports of gate motors being stolen in Johannesburg. Increasing crime has meant that the entry and exit point of your property is your most vulnerable area. You need to ensure that you have an effective remote access security solution and a warning system should this occur.